What great earthly sorrow we must endure, but also with comfort knowing he is with Jesus in His eternal home. 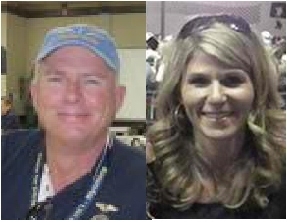 It is with great sadness and heartache, that I offer my sympathy and condolences to the families and friends of Daleray Madewell, Pilot, member of the (Wyoming Chapter) Pilots for Christ International and nurse Jennifer Sebesta. Their tragic loss will never be understood, yet we must continue on with their spirit of caring, community involvement and loving kindness towards others in great need. Both Daleray and Jennifer gave of themselves to help others and provide solace to all those who came their way. Unselfishness and giving were their traits and all of us are better off having known their caring hearts. May their love and caring continue to shine across Glenrock, Douglas, Wyoming, The United States and The World, as all who come after them are reminded of their dedication, love and focus on others before themselves. To their families I say what wonderful examples of peace, and love they leave as their legacies. May their spirit of helping others transform into countless others searching their own hearts and trying to fill this unending void, that was left behind on February 9, 2012. To the Wyoming Chapter of Pilots for Christ International, thank you, for your selfless acts of kindness toward all those in need. May Daleray's memory be forever encased in the minds and heart's of all those who follow in service to Our Lord Jesus Christ. "May the peace of God, which surpasses all understanding, guard your hearts and your minds in Christ Jesus." It is with this understanding and respect for Daleray and Jennifer that below you will find the final NTSB report on this tragic loss and through their sacrifice perhaps many others can gain valuable wisdom and knowledge that will prevent any future accidents and loss, of this type. During a volunteer flight to pick up a passenger, the non-instrument-rated pilot had to divert to an alternate airport due to low ceilings at his destination. After picking up the passenger and departing, the pilot requested and received a flight-following clearance. Shortly thereafter, he reported that he was going to turn the airplane out of a valley. There was no further communication from the pilot after this transmission. The last radar target depicted the airplane at an elevation of 7,100 feet. The wreckage was located 3.5 miles from the last radar target in treed, mountainous terrain at an elevation of 7,700 feet. A postaccident examination of the wreckage revealed no evidence of mechanical malfunctions or failures that would have precluded normal operation. Weather information current at the time of the flight reported mountain obscuration and precipitation. Review of weather briefing data showed no record of the pilot obtaining a weather briefing prior to departure. Given the forecast and reported weather conditions, it is likely that the pilot encountered instrument meteorological conditions and was unable to see the trees and terrain prior to the collision. The non-instrument-rated pilot’s poor planning and continued visual flight rules flight into instrument meteorological conditions and failure to maintain clearance from mountainous terrain. On February 9, 2012, about 1348 mountain standard time, N9619T, a Cessna 210, collided with mountainous terrain about 9 miles east-northeast of Morgan County Airport, Morgan, Utah. The private pilot and passenger sustained fatal injuries during the 14 Code of Federal Regulations Part 91 flight. The airplane was substantially damaged. The flight originated from Morgan and was destined for Converse County Airport, Douglas, Wyoming. The pilot requested and received a flight following clearance. The pilot was conducting a mission for the Wyoming Pilots for Christ. He was volunteering his services to transport the passenger, a nurse, from the Salt Lake City area back to her home. According to Wyoming Pilots for Christ personnel, the pilot had departed Douglas about 1000 MST and intended to land at Salt Lake City International Airport, Salt Lake City, Utah. However, the pilot landed in Morgan due to low ceilings in the area. The passenger then met him at the Morgan airport. The pilot, age 47, held a private pilot certificate with airplane and single-engine land ratings. He held a third-class medical certificate issued September 27, 2011, with no limitations or waivers. The pilot’s logbook was reviewed and showed about 553 total flight hours. He had flown about 18 hours in the last 90 days and 10 hours in the last 30 days. The high wing airplane, SN 57419, had four seats and retractable gear. It was manufactured in 1961. It was powered by a Continental IO-470-E (17) engine. Review of the maintenance records showed an annual inspection was completed on February 10, 2011, at a total time of 3,465 hours. The airplane was equipped with a Garmin 430. An NTSB air traffic control specialist reviewed the air traffic control information pertaining to the flight, as well as the pilot’s flight earlier that day from Sheridan, Wyoming, to Morgan, Utah. Review of the radar track of the pilot’s inbound flight from Sheridan showed radar targets along the mountain range to the east of the pilot’s landing airport. The radar targets showed several course reversals along the mountain range. The track then ended prior to the pilot’s landing in Morgan, likely due to limited radar coverage in the area. Upon departure from Morgan, the pilot requested and received a flight following clearance at 1346 MST, and advised that his destination was Douglas. Shortly thereafter, the pilot reported that he was going to turn the airplane out of a valley. There was no further communication from the pilot. The last radar target was at 1448 at an altitude of 7,100 feet, approximately 3.5 statute miles from the accident site. An NTSB senior meteorologist completed a weather study. A composite of the NWS Weather Depiction Charts for 1200 (1900Z) and 1500 MST (2200Z) on February 9, 2012, depicted a small area of reported instrument flight rule (IFR) conditions over Idaho immediately north of the accident site at 1200 MST by a shaded contour, with another area over Colorado to the east-southeast. The areas were enclosed by a larger area of marginal visual flight rule (MVFR) conditions by an unshaded contour which extended over northern Utah and the accident site. At 1355, an aviation routine weather report (METAR) for Hill Air Force Base, located about 17 nautical miles west-southwest of the accident site, reported the following conditions: wind, calm, visibility, 7 statute miles, clouds, few at 2,700 feet, overcast at 3,200 feet, temperature, 3 degrees Centigrade, dew point, 0 degrees Centigrade, altimeter, 30.33 inches of mercury. The subsequent observations indicated a ceiling overcast from 2,100 to 2,600 feet agl or from 6,900 to 7,400 feet msl assuming normal rounding to a hundred feet, and with a period of visibility reduced to 5 miles in mist. The cloud heights would have implied a high likelihood of mountain obscuration conditions over the accident site. At the accident airplanes altitude of 7,700 feet the sounding indicated a temperature of -3º C, a temperature-dew point temperature spread of less than 1 degree C, a relative humidity of 98 percent, and a wind from 275 degrees at 9 knots. The sounding did not indicate a high probability of turbulence due to the light winds and low vertical shear. A probability of icing existed in clouds and in precipitation above 6,000 feet. The GOES-15 infrared band 4 satellite image at 4X magnification for 1415 MST (2215Z) on February 9, 2012, depicted multiple layers of low to mid-level clouds over Utah during the period. No defined cumulonimbus clouds or thunderstorms were identified over the area. The infrared image indicated a radiative cloud top temperature over the accident site at 260 degrees kelvin or -13.16 degrees C, which corresponded to tops near 14,500 feet over the accident site. The GOES-15 visible band 1 image at 1415 MST (2115Z) depicted low stratiform clouds over the area with a second mid-level band of altostratus bordering on the accident site. The image indicates a high probability of mountain obscuration with the low stratiform type clouds over the region. The forecast for northern Utah indicated scattered to broken clouds at 10,000 feet layered to 17,000 feet were expected over the region. The forecast however was amended by AIRMET Sierra update 6 for mountain obscuration due to clouds and precipitation issued at the same period. Review of weather briefing data from Lockheed Martin Flight Service, CSC DUATS, and DTC DUATS, showed no record of the pilot obtaining a weather briefing. Initial responders reported that the airplane impacted a northwest-facing, treed slope, at an elevation of approximately 7,700 feet mean sea level. The debris field was approximately 75 feet in length and on a general heading of west-northwest. The Utah Office of the Medical Examiner performed an autopsy on the pilot on February 11, 2012. The manner of death was reported as an accident due to injuries as a result of the accident. The FAA Bioaeronautical Science Research Laboratory, Oklahoma City, Oklahoma, completed forensic toxicology on specimens from the pilot. The report was negative for volatiles, cyanide, and tested drugs. The report stated 10 percent carbon monoxide was detected in the blood. Cotinine and nicotine were also detected. An NTSB investigator, the FAA accident coordinator, and a representative from Cessna Aircraft Company examined the wreckage. Examination of the recovered airframe revealed that it was separated into numerous pieces. The right wing was separated from the fuselage and exhibited crushing damage along the entire span of the leading edge. The right wing lift strut remained attached to the forward spar and a fragmented portion of the fuselage frame. The right flap was in the retracted position. The flap actuator measured 0.15 inches which equated to a retracted position. The aileron remained attached to its respective hinge points. Aileron control cable continuity was established to the wing root. The separations of the control cables at the wing root were consistent with cuts made by recovery personnel. The fuel bladder was fragmented. The fuel cap was secure; however the structure surrounding the fuel cap was separated from the wing. The left wing was separated from the fuselage. The left wing lift strut was separated from the wing and fuselage. The aileron was separated from the wing structure. The flap assembly remained attached to the inboard portion of the left wing. The fuel bladder was fractured. The fuel cap remained attached to the upper wing surface and was in place. The outboard portion of the left wing was not recovered (recovery personnel reported it was in a 70-foot tall tree). The aft portion of the fuselage was separated from the forward portion of the fuselage. The vertical stabilizer and rudder remained attached to their respective mounts. The inboard sections of the horizontal stabilizers remained attached. The elevators were separated from their mounts. The right elevator was fragmented and the trim tab was separated. The elevator trim actuator was fragmented which prevented measurement of the actuator. Flight control cable continuity was established from the elevator and rudder control horns forward to the cuts made by recovery personnel. Control cable continuity was established from the cockpit controls to the area of cuts made by wreckage recovery personnel. Continuity for aileron controls was obtained throughout the aileron control chain to the left and right wing root. The seats and seat tracks were fragmented and separated from the fuselage. The pilot side seat engagement pin was found engaged to a separated portion of seat track. The airspeed indicator was found separated and the airspeed needle was observed stuck at 180 knots. The altimeter setting was observed at 30.22. Both doors were separated from the fuselage. The pitot-static system was fragmented. The unobstructed pitot tube was intact and separated from the wing structure. Examination of the Teledyne Continental Motors (TCM) IO-470-E (17) engine, serial number 088778-R, revealed that all six cylinders remained attached to the engine crankcase. All engine accessories remained attached to the engine with the exception of the starter, which was separated from its mount. The exhaust, propeller, and oil filler cap were separated. The oil sump was crushed upwards. The top spark plugs, rocker arm covers, fuel pump, oil pump, left and right magnetos, and throttle body fuel control were removed. The engine crankshaft was rotated by hand using a hand tool attached to an accessory mount pad. Rotational continuity was established throughout the engine and valve train. Thumb compression and suction was obtained on all six cylinders. Both magnetos produced sparks at all posts when manually rotated. The top spark plugs were examined and found to be consistent with worn out normal when compared to the Champion Check-A-Plug comparison card. Light gray coloring was noted within the electrode areas. Examination of the fuel system revealed no contamination or anomalies. The vacuum pump drive shaft rotated freely by hand. The vacuum pump was disassembled and the rotor and vanes were intact and undamaged. The propeller was separated from the engine crankshaft propeller flange. Both propeller blades exhibited aft bending and blade twisting and remained attached to the propeller hub. Both propeller blades exhibited multi directional scratching on the forward face of the blade. No evidence of pre-impact mechanical malfunction was noted during the examination of the recovered wreckage. The Aircraft Owners and Pilots Association has an online course designed to assist volunteer pilots. The course “Public Benefit Flying: Balancing Safety and Compassion”, can be found at www.airsafetyinstitute.org/volunteerpilots.